3 Weeks after Declaration of War: The grind and creak of tracks carried through the air as a column of AL-36-75 "Hoplite" heavy tanks rolled down an Occitanian road. Infantry riding on their hulls and walking along beside them. This was part of the lead elements of the Pact forces pushing into Occitanian territory. Some of the tanks show signs of damage from the earlier fighting, burn marks and scraped off paint, but in the name of operational integrity the Pact Joint Command has been pushing their forces at full speed to exploit the breakthroughs made. As I was watching one of the tanks sputtered and threw a tread, the crew hopping out to try to fix the vehicle without causing much of a slow down to the advancing column. Already the infantry and heavy tanks of the Pact were being outpaced by the exploitation forces of Leon. Light tank forces are rumored to already be reaching the gates of Paris miles ahead of the rest of the army, which was why they were rushing to fill the gaps in the line even now. Either way it seems that the Occitanian resistance will collapse any time now. 2 Months after Declaration of War: Despite the fall of Paris and much of the country, Occitanian forces continue to hold out in Bordeaux. Between the Leonese and Atlassian forces in the area, over 60 divisions have been brought to bear against the Occitanian capital, which has been heavily fortified by the Occitanians. 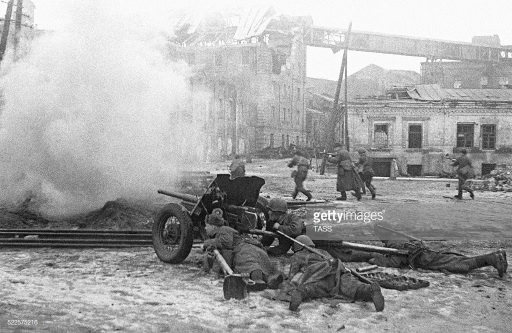 Heavy gun and artillery fire can be heard from my position even now, and at night fires burning throughout the city cast the area in an eerie glow. Fortifications dug into buildings and along major streets has proven to be a significant slow down, but even now brave Pact troops have been fighting their way to the town square. Overhead fighters and bombers of the Pact are running constant missions to keep the Occitanians from forming coordinated counterattacks, and they have for the most part forced the Occitanian airforce to remain grounded. Shore bombardment has begun as the Atlassian navy has moved just outside the harbour, and heavy battleship caliber shells have proved instrumental in digging out some of the toughest Occitanian positions. 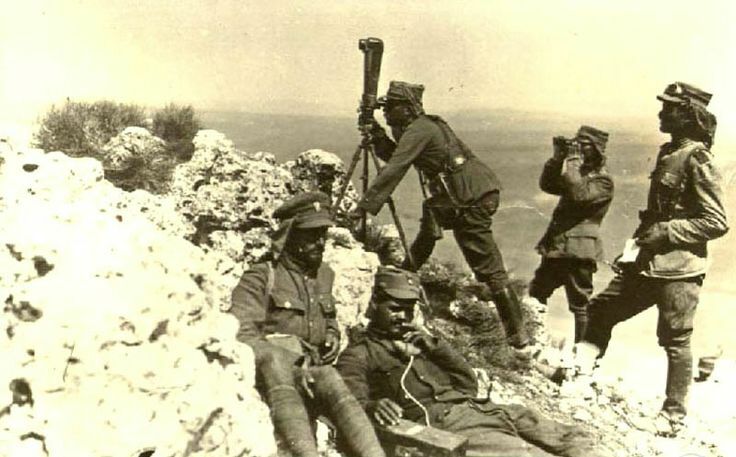 3 Months after Declaration of War: Occitania officially surrendered to the Pact just yesterday, and already Pact forces have begun to move into positions to defend the new member of the Pact. 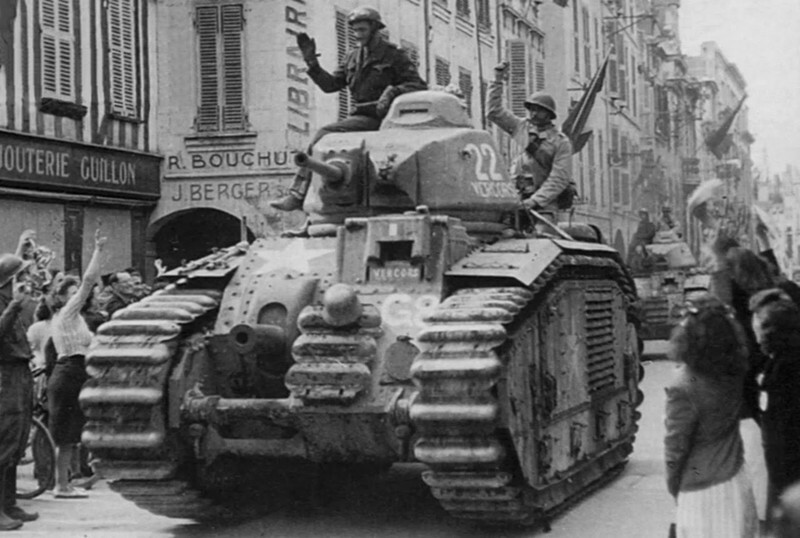 With the Occitanian government replaced with a more Pact friendly alternative we will be able to make use of much of the Occitanian equipment to sustain the war effort. And already Occitanian forces loyal to the new government are starting to get deployed to assist in policing and garrison duties. Atlassia spent the last years since the invasion of Occitania preparing itself for the inevitable next war. Research has begun in full, with full speed put in at every turn, to make our army superior to anyone elses. New fighters, new infantry equipment, new machineguns and everything else were passed on to the Atlassian forces, trying to prepare them to face even more dangerous foes on all fronts. New heavy tanks were rolled out in mass to improve the firepower of the frontline forces, supported by modifications designed to crush infantry attacks and more advanced tank forces. At the same time, we have had to prepare ourselves physically on many many fronts. The Medinians remain built up on our border. The Scandinavians have prepared a massive army on the far side of the Occitanian border, the Elysians and the Japanese have even larger forces spread across the North American borders and it seems that the true battle of the Anthropomachy is about to begin within the next session. Huge forces are preparing to crush one another and millions will die in the next few years. The only question on the table will be who will take victory in the end. For this session ahead of time. 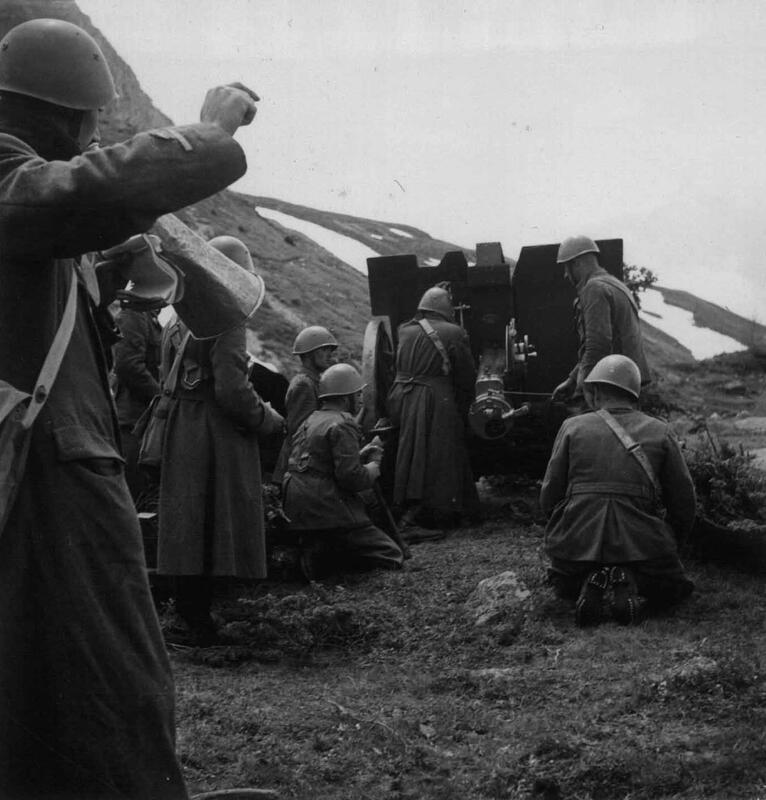 Today Atlassian and Leonese troops pushed across the Scandinavian Border. Our boys are ready to fight and there are reports that we are making headway already in multiple sectors. Encirclement continues, over 300,000 Scandinavians have been pocketted along the border. The Khazarian army has entered the war and has started to push through Poland. Japanese and Brazilian attacks along the North American front have created a need for a strategic withdrawal to the Mississippi River. Continued attacks have necessitated a strategic withdrawal to the Appalachians mountains. We have held the line at Newark for a few days. Progress will be seen in the future. Line continues to hold at Newark and just south of Washington. Arrival of Leonese forces and new anti-tank equipment has stabilized the front and given us a counter to the advanced Japanese medium tank divisions. Casualties are high on both sides as vicious fighting continues. Atlassian artillery trying to hold the line in the Appalachians. Secondary Combat has occurred across the African Front. To say last year went poorly would be a....quite accurate statement really. It went quite well in some aspects, namely the battle in Europe was actually very successful, and it went absolutely terribly in other aspects, namely North America. As from my last AAR, I included a small summary of what had happened that session, and it summed up just about everything. The initial fighting against Scandinavia went very well. My units for the most part pinned Scandinavia to the front line, and our combined air forces slowed KoM's forces to a crawl. As a result Leon was able to punch through the Scandinavian defenses along the Wesser and pocket a number of Scandinavian divisions early on. For the most part KoM's defenses had been set up with level 4 or 5 forts, but a few proviences he only had 2s or 3s, and those were the ones we punched through. Following the collapse of the Weser defenses, the Atlassian army actually for the most part withdrew from Europe. Mostly because the absolute chaos that was happening in North America. If you've read KoM's AAR for this week, you have some idea what happened there, and you can translate a lot of what he said directly to here. Nobody in our alliance had played HOI4 MP since Waking the Tiger, and I had only played an hour or so of SP. Which meant that I had made a fatal mistake of underestimating just how much AT I needed to deal with things. It wasn't quite as bad as KoM admittedly, as I had actually equipped most of my forces in North America (namely the majority of my 40 or so Divisions of Cavalry) with at least support AT guns. This proved enough to deal with the Japanese and Elysian light tanks. Unfortunately they brought more then Light Tanks. The big thing that caused a constant near total collapse of our front and almost every single issue, was the Japanese Medium Tank Corp. 9 or so Divisions of Mediums that absolutly nothing we could throw in their way was enough to stop. Everytime we managed to form a defensive line, the Mediums were either already ontop of us, or blew through us regardless. The first line at the Mississippi fell rapidly, the defense of the Illinois never really formed as by the time our troops were there the Japanese Mediums were already overruning our positions. The Wabash river held out just slightly longer, buying us enough time to fortify the Ohio, for the most part. Namely the southern portions of the Ohio as the Mediums made one last breakthrough to Washington, which fell despite my best efforts. Finally though the front stabilized, along the Appalachian mountains, the Ohio River, and around Newark, though despite weeks of fighting over the Newark Airbase, we were unable to hold it in the end and counterattacks were not successful in keeping it in our control for long. There's a lot that goes into this rather painful blow we suffered, but well, the general summary of it was. -We were too infantry focused. This meant we were too slow to withdraw in the face of these attacks, which for the most part effected New England, who lost approximately 70 divisions in Illinois and Iowa. -We did not have enough planes and were not operating them effectively. More specifically, we had lots of planes, enough to match the Legion, but we couldn't leverage them well enough to actually contest the air for the most part, which left our divisions slowed to a crawl. For now the front has stabilized though, and for the most part this is due to the arrival of the Atlassian main army, as well as significant quantities of Leonese troops. Though much to our horror even my Heavy Tank, and Leon's mediums, couldn't actually contend with the medium tanks we were facing as they lacked the penetration. For the most part this has been resolved though, and now the Atlassian forces at least can penetrate any tanks they see due to the arrival of new equipment. Leaving my forces into about three tiers. Light AT: About 30 ish Piercing, this is enough to deal with the light tanks we've seen, and damaged Medium tank forces. Heavy AT: About 60 ish, this is pushing the absolute limit for how much AT you can get on the tier I equipment, but it is enough to deal with just about everything, and soon should be left behind as new equipment rolls off the production lines. I've also started to finally switch into war economy, which means I'm starting to build a significant quantity of Mil Factories a month, as my Civ Factory amount is almost tied with Medina and only really beat by Khazaria. So with this great campaign over I've decided to take a more retrospective look over the entire game and think what might have changed or what I might have done better. CK2 was both probably my slowest game and one that I actually quite enjoyed. Compared to say Victoria 2, CK2 has much more to do during the quiet times, especially as a Merchant Republic. I do wish we had started with Jade Dragon as it would have made my start significantly more viable (By adding the better part of 4-5 provinces to Sardinia and Corsica.) Still even if I had a rather slow start due to being stuck on an island which hampered my claims, being an odd religion which hampered my claims, and being part of the Byzantine Empire which hampered my ability to munch away at Sicily, I managed to eventually get the ball rolling. I am not sure but I think for at least a solid part of the end of CK2, Atlassia had turned into a viable 'top power.' And in a one on one fight I think I could have dueled the likes of Dragoon and Vaniver and possibly win. Unfortunately the coalition against Dragoon at the end of CK2 ended up being a bit of a comedy of errors that drastically sapped my fighting strength but hey that's how it goes. Personally though I think the most fun part of CK2 this game was Dragoon and I skirmishing over Greece. I'm a prefer for situations that allow wars where it isn't 'do or die' and Greece was the best example of that. The land changing hands a few times before the final EU4 take over by Dragoon. Outside of the one incident where I went over my realm limit and promptly got body checked by all my vassals I also managed to more or less keep rebellions from happening and was pulling in a good economy. Pike Column Advance I have also come to the conclusion is damn near gamebreaking in the right situations. With my huge pike Retinue and a good Italian commander I could beat off much larger armies with just the Pike Column which could inflict thousands of casualties in a single combat turn. The only real time the column failed was either due to long attrition in a few Seville era holy wars, and when my commander died the day before a big battle against dragoon and got replaced with a mercenary viking who ordered a reckless charge and got it shredded. I also discovered just how useful the Theology life path is. The extra health and buckets of very good personal events gave my leaders some real good boosts. I turned one guy that I thought was going to be a write off into one of my best leaders because of theology fixing his insanity, fragility, and a bunch of other downsides he had. I really wish I hadn't failed that immortality quest at literally the last hurdle, but even then Theology cured my leader's madness. What I'd change from next time would probably not be as much. Next time around I'm planning to play a catholic which should help with a bunch of the bigger problems I had that time. (Though just as Holy Fury makes Hellenics actually interesting of course.) And I'm intending to go Feudal. Which comes with its own problems compared to an MR but I think it'll still be sufficiently interesting. All in all though I rate Atlassia at the end of CK2 as probably at it's relative strongest compared to the other players. There really was a good chance here if Africa had opened faster, or if I had come out swinging hard at the start of EU4 against Khan, Sauron or Dragoon, before national idea modifiers really came into play, that I could have wormed my way into a top 3 spot. So this was the first Golden Age of Atlassia. Looking back at EU4 I think this was actually the most fun I had in the great game. EU4 had at least for me a real nice 'flow of history' feel to it. Where my nation seemed to be hitting its peak and starting to fade away. I came into EU4 as the 4th-5th world power, and usually found myself hanging in that area for much of the early game. I managed rapid expansion across the world and started to turn into a real empire. Then as the game started to come to the end I started to almost go the route of Portugal, with strings of failures and a nation that was falling into obscurity. Unfortunately giving James independence in Elysium really hurt my official score. But it did get me an ally that...eventually turned on me in HOI4 because of weird rulings Still if I could go back I'd still have given James Elysium. Though I would have tried a bit harder to try to find a South Elysium player. If only because it would have made HOI 4 even more a madhouse. The big thing I would have changed if I could have this game are two fold. First, not missing the Kilwa and India opening sessions. The former more then the latter. I had been prepping for Kilwa for some time, because it would have opened up a route for me to get to East Asia. Unfortunately I was indeed away for these two sessions, and my sub was not able to do the maneuvering required to grab some territories. This really hurt a lot of my plans in Asia and led to me more or less pulling out of Asia entirely and leaving it to the wolves. If I had managed to get Kilwa at least I likely would have contested Japan more heavily for Asian influence and possibly made a run at Malaysia or Ayyuthuya. The second thing I would have changed was my policy toward boosting players outside of my realm. In general I tried buying loyalty with money but either I never did much with that loyalty or people went back on it anyways. The loyalty I gave to the states that were part of my commonwealth paid back in spades (Rharia and Elysium) but I funneled a not insignificant amount of money into places like Malaysia. Going forward I don't think I'm going to play good Uncle Moneybags for most of the world, but I do think the multiple player nation is a way to go forward. Between Myself, Brickfrog and James we had a pretty strong commonwealth going around and it ended up with Rharia being the only really developed nation in North America. The other highlight for me was the 3rd war against Khazaria. The only time I took on a Top 3 player in an actual ground war and survived. Admittedly it was only against a single 'army' from Khazaria of 100,000 troops, but I'll take the win where I can get it. All in all I think most of the ideas in EU4 worked this game. The expanding wall for colonies made the colonial game actually pretty fun and made a rather unique North America. At the end of EU4 I'd rate Atlassia as actually at it's weakest relative to other players though. I had a large world spanning commonwealth but my actual home power was bad and a lot of my nation was kinda propped up on twigs. I went into Victoria 2 thinking it was probably going to be the end of Atlassia as a major power. I had a huge population base and a good chunk of land, as well as the more or less free real estate to grab in Kong, but my literacy was terrible. Like beyond terrible. I managed to cling onto my Great Power slot for a while, but being mixed with a democracy it wasn't going to last. Soon the liberals ended up in power and my great power slot tumbled to a resounding 10-12th at any point, and it only really got worse as the game went on. It had a weird state where my industry was always still somewhat competitive, and I managed to stay in the game on raw outputs alone, but it took till about 1900 for my literacy to finally hit 99% and I managed to actually catch up with everyone. From a 'flow of history' standpoint, this was great. It made me feel like IRL China to an extent. A once great power that had been reduced to a sideshow, only to finally catch up and turn into a powerhouse. From an ingame stance it was less fun but I managed to keep it running at least. There's not much really to say about V2 though as a game itself admittedly, because very little of importance actually happened. I colonized a few of the wasteland areas in Africa, and beat up Kong at every turn, but other then pulling mmyself out of the hole I had found myself in it wasn't terribly interesting. Though the industrial revitalization that came with the end game really was something to see. National Production 1928, in some sectors like Coal I managed a 14x increase in production during that time. Come out of V2 I think my nation was actually in quite a good space. I wasn't the Grand Poobah, but I converted well and I was happy with the direction Atlassia was going. HOI 4 I think was in a bad state from the start unfortunately. The 'Top 3 Pick their allies' system was flawed from the start, and nobody really seemed to want to actually fight out the grand war of armaggedon. In the end though we did manage to get the game steaming along in a good state. Unfortunately in the process I lost Elysium as part of my commonwealth to balance the factions. Really this was a pain from a 'time and effort put into things' standpoint, but from an actual gameplay standpoint it made things more interesting. The actual game itself I think went pretty well. In the end the Herculean Pact was on the road to winning the world due to a lucky turn around saving us from getting murdered by Dragoon when we agreed to the evacuate NA plan to hit Clone that Mark put forward. I spent much of the game waaaay off warfooting, relying on my conversion relatively huge army, and building up my civilian economy to heights that matched up or surpassed most of the big 3. Unfortunately the game ended the session after I switched over to war economy so I was still in the middle of my rapid build up but the one thing I did have was bucketloads of provinces to put factories in so I'm confident if the game had gone on I would have managed some rather impressive factory totals. What I learned for next time? Namely PUT ANTI-TANK IN YOUR INFANTRY. The state of infantry vs tank combat right now makes this a necessity and doing anything else is suicidal. Personally, I quite enjoyed playing Atlassia and playing in this Grand Campaign. I played a nation that felt like it had organic highs and lows, and all in all was a good experiment. For a first real shot at a grand campaign it was a good ride and it's given me some ideas I plan to implement in the next great game. Depending on where I end up I'm hoping to certainly be a more active player in European politics, or politics in general. But I'm holding high hopes for my ideas coming for the next game and I look forward to it too.